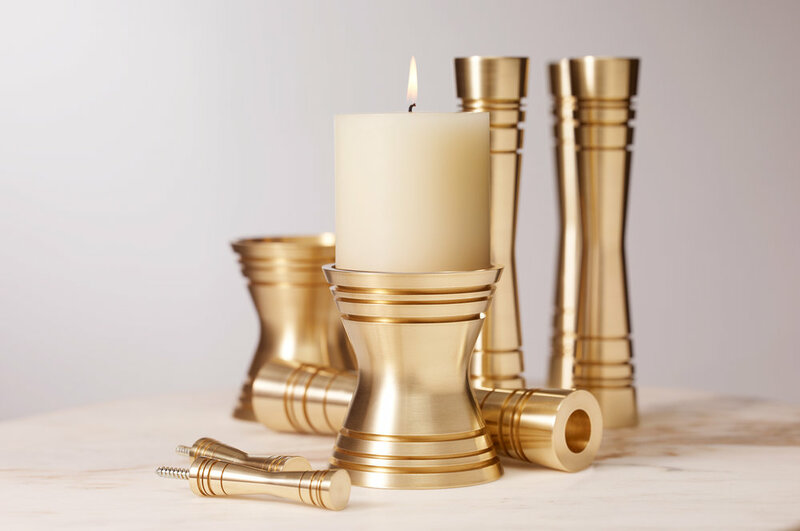 Mid-Century Modern inspired solid brass candleholders make for a substantial and elegant future heirloom. The polished brass reflects candlelight, enhancing the warmth and glow in your space, creating a soft, comforting atmosphere. Mix and match the taper and pillar candleholder styles to create your perfect midcentury inspired table setting. Also available in aluminum, if that's your cup of tea. 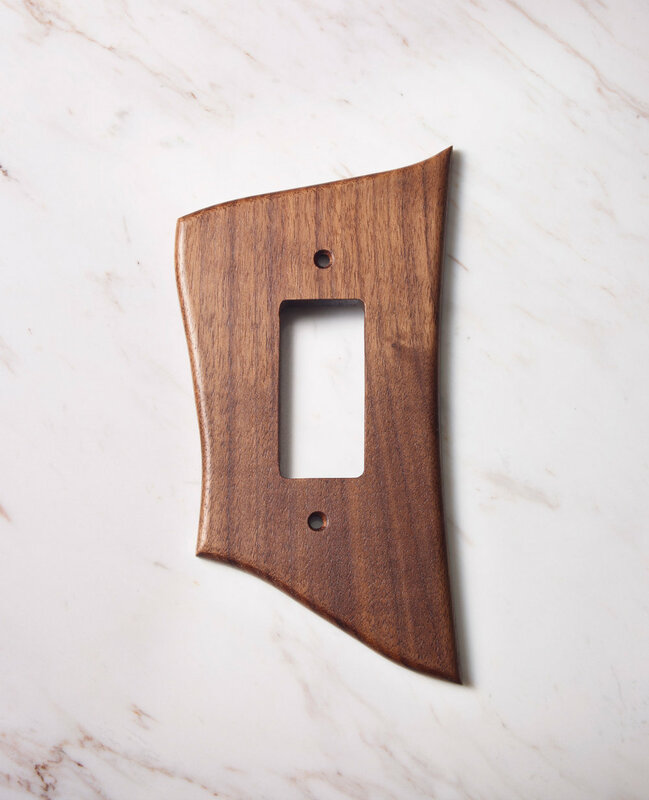 Locally made and machined by hand, in Los Angeles, California. 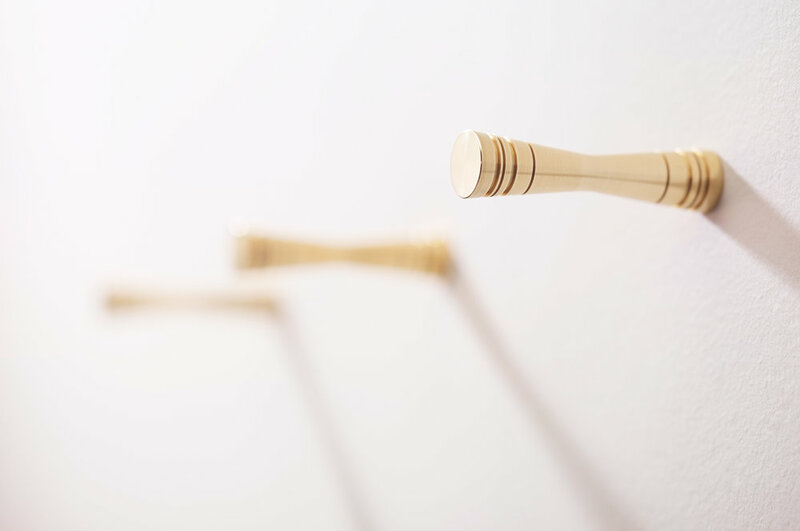 Milled from solid brass, these delicate hooks are anything but! 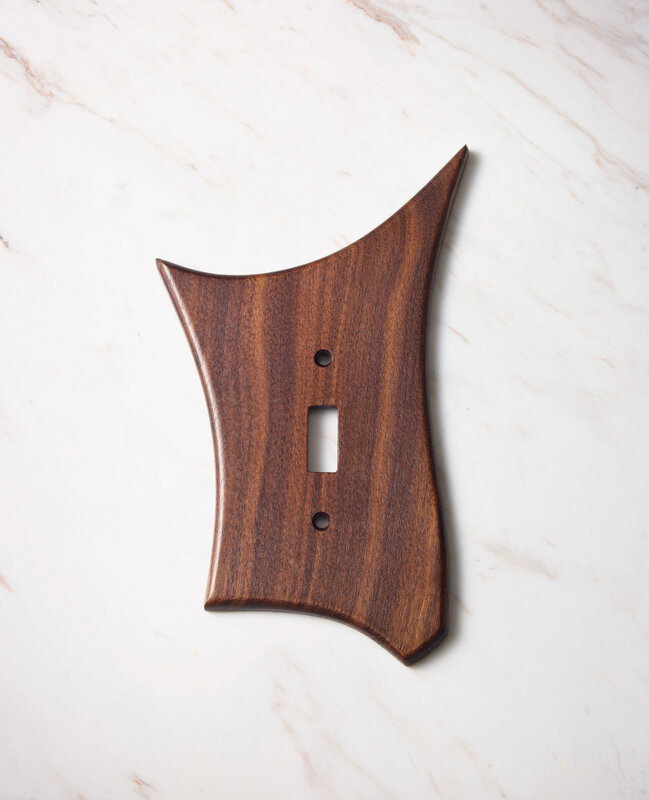 Made to match our Double Taper Candle Holders, they are a beautiful compliment to any room. We love to use them to hold our favorite scarves and robes that are too pretty to stash away in the closet. 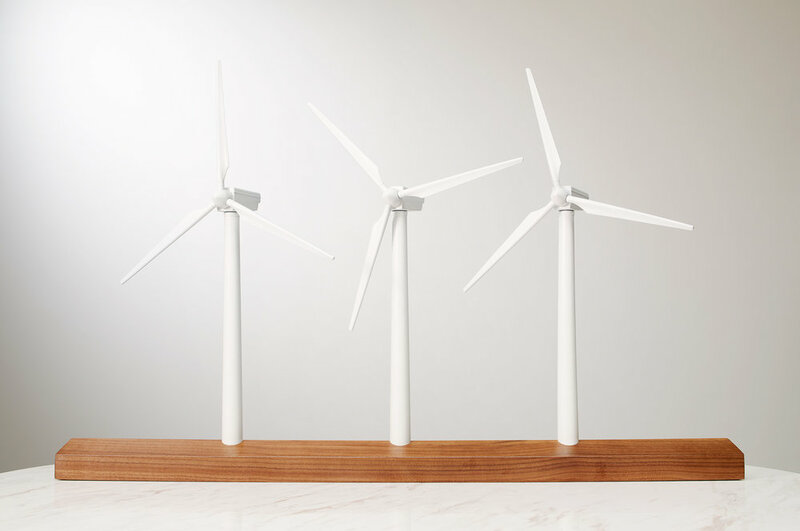 This is our bent steel firewood holder, inspired by the classic butterfly. Lovingly bent and acid-etched by hand, it wants nothing more than the humble honor of holding your fireplaces' favorite wood snacks. 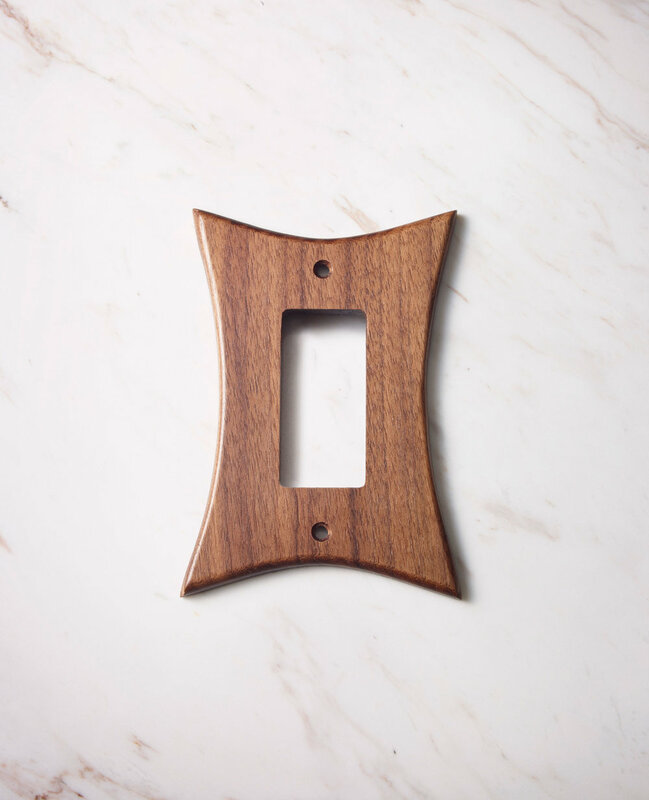 Available in round rod or hexagonal steel, with your choice of finish. handcrafted and locally made by Post and Gleam and their trusted Community of vendors in Los Angeles, CA. Dimensions : available in 44" or 51"
These little beauties are inspired by vintage lines and ideals, the sophistication of mid-century modern with a Tiki attitude. 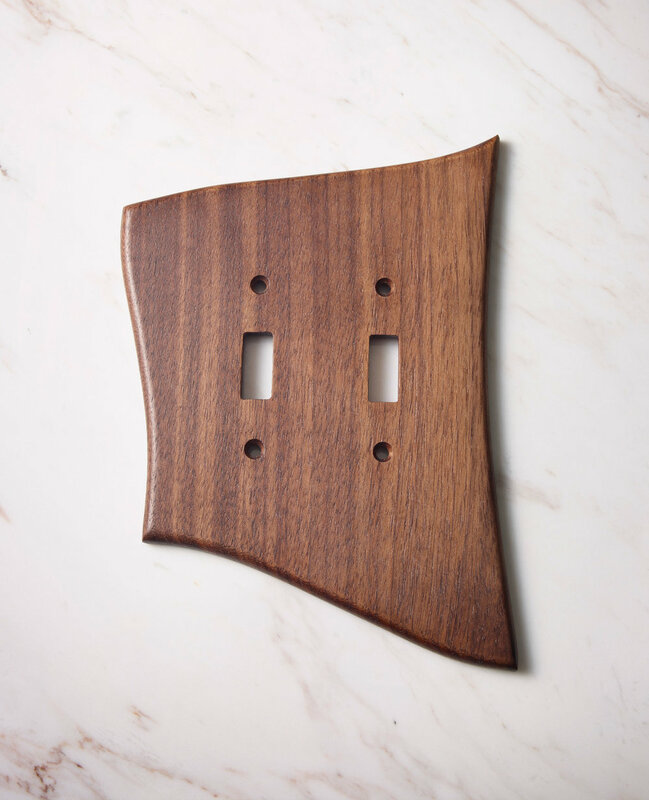 Each piece is made from solid walnut and hand finished. Currently offered in three styles; "H", "X", and "L", you can choose single or doubles. 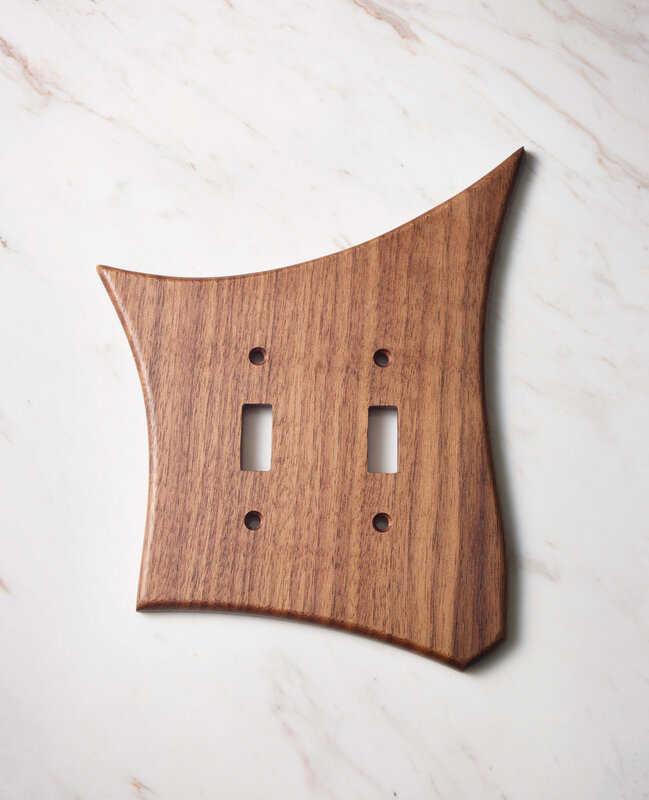 There is also an option for your Decora switches. 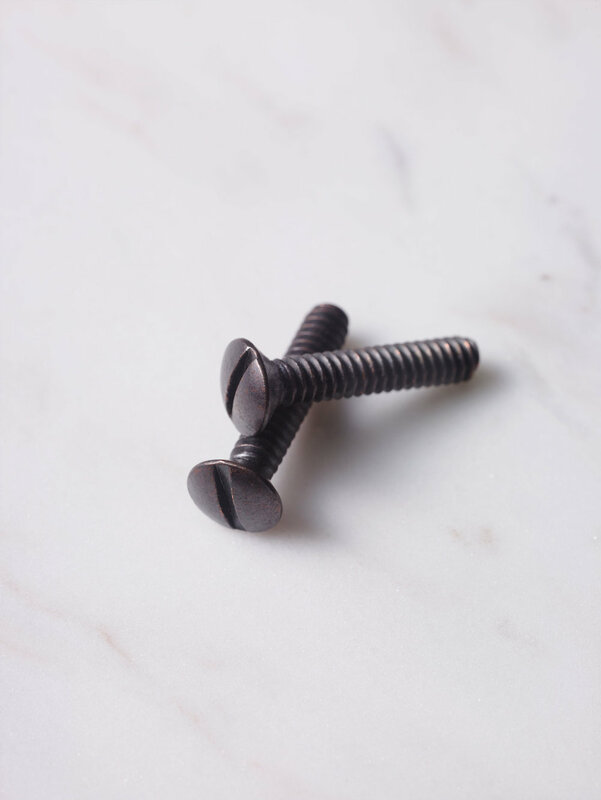 Matching antique bronze screws are included for mounting. 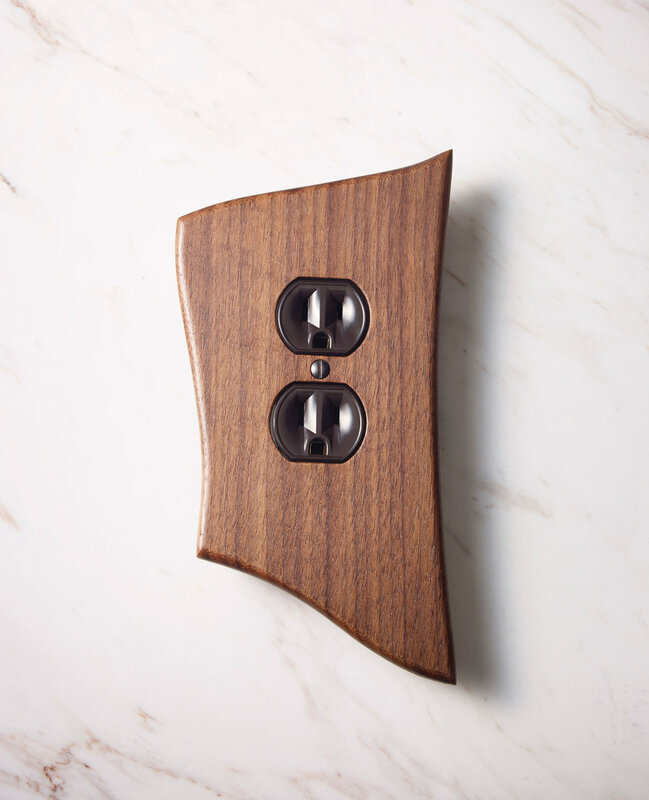 Switches not included, but we do have period correct brown switches (standard and Decora) and outlets available if you are interested, let us know. Let us know which ones you would like and we'll get back to you ASAP with a quote and timing. A collaboration with fiber artist Colleen Wootton from Seattle. About Colleen : I can make pieces that have a strong impact through color, scale or bold shapes. Drawing inspiration from the clarity of line in work by color field painters like Gene Davis, Frank Stella and Ellsworth Kelly, my geometric textile designs are infused with many elements including color, pattern, repetition and an attraction to shapes in human made structures. This sculpture was inspired by the drive from Los Angeles to Palm Springs. Right about the time you see the windmill farms and the HWY 111 approaches, the air takes on a wholly different quality. Windows get rolled down and the strong breeze carries the smell of the mountains and the peace of the desert straight into your heart.